I want to be a Pikeman! It's a great thing to be able to call yourself a Pikeman! Other pikemen will know what you go through and respect you. 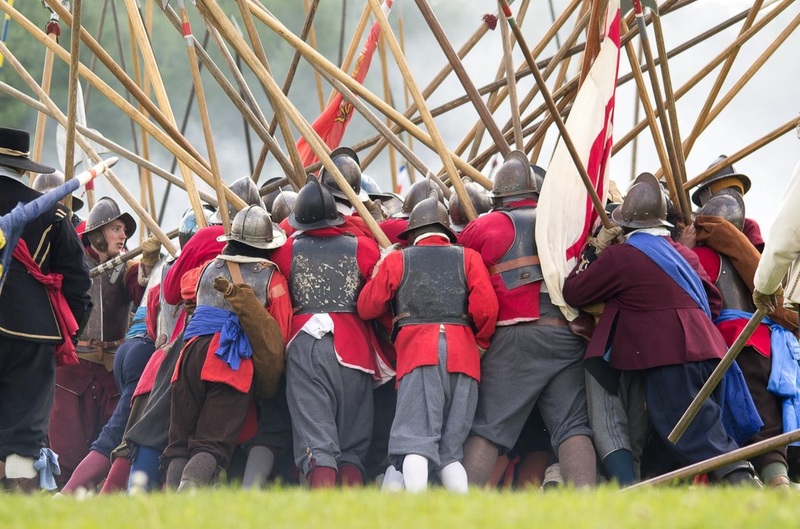 Your fellow pikemen will go through hell and high-water for you, and they know that they can rely upon you for the same. Fighting with a pike takes strength and stamina. However, Hammond's have always had an inclusive policy - if you are strong enough to handle the weapon correctly and have the stamina to get through a whole engagement then you can join wether male or female. Sometimes it gets a bit rough, but as with all contact sports you will be taught how to engage correctly and safely - for you and your opponent. The thing with the pike is that its strength is in numbers. Teams win, individual pikemen don't. 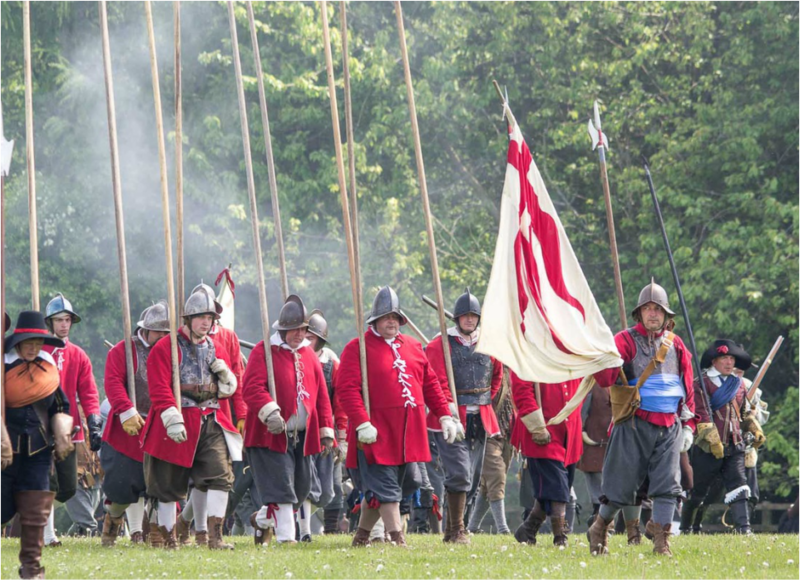 If you would like to join Hammond's pike block expect to join one of the best fighting blocks in the Sealed Knot, and get stuck in to supporting your mates in 'The Block'!